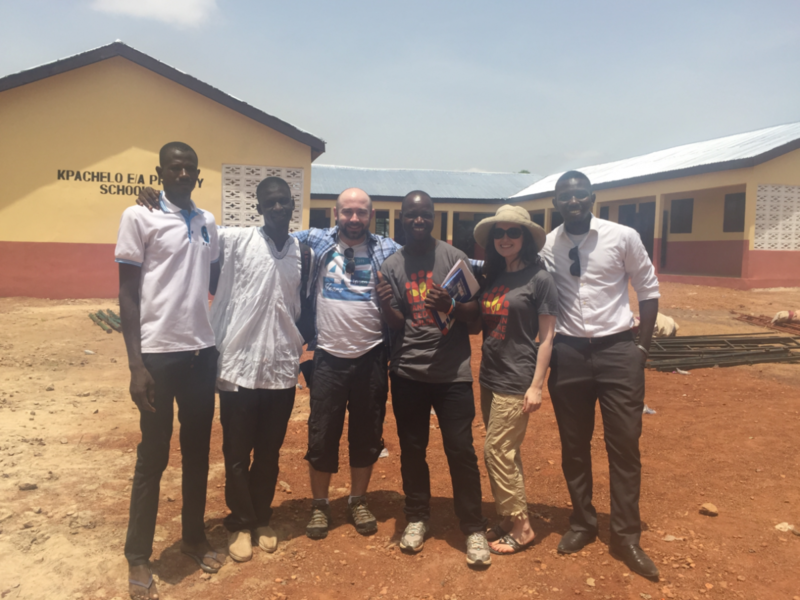 We recently brought you the story of the rebuilding of a school in Kpachelo, Northern Region, Ghana – a project brought to fruition with thanks to significant funding from the Ipsos Foundation. 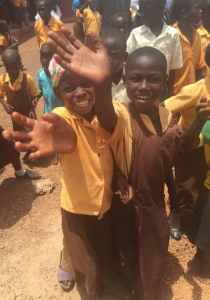 In this guest blog post, Lucas Martin, Director – North America of Ipsos Health, who worked with Canadian Feed The Children since mid-2015 on the project and travelled to Ghana in May, 2016 to attend the grand opening, brings to life the significance to Ipsos Foundation of its largest gift so far. 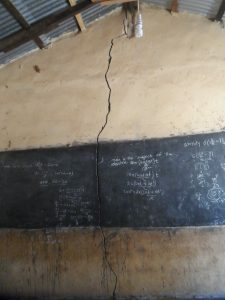 The original school in Kpachelo had been condemned a few years earlier, as teachers and students began noticing large cracks developing in the foundation. With local resources exhausted and the safety of the building extremely suspect, there was no alternative but for classes to resume outside forcing local educators to teach their young pupils in harsh conditions under the hot African sun, strong winds and torrential rain in season. This was the situation and need that Canadian Feed The Children (CFTC) brought to the attention of our Ipsos Charity Trust group in Toronto in 2015. 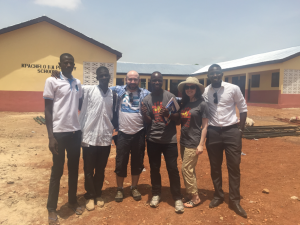 Almost a year later, with the overwhelming support of the Ipsos Foundation, I was standing in the vacant classroom of the old condemned elementary school in northern Ghana, a far cry from the comfort and privilege of my urban playground back in Toronto. It was in that moment that I began to realize why it was that non-profit organizations such as CFTC do the work that they do and why partnerships like the one offered by the Ipsos Foundation were so greatly needed in communities like Kpachelo. In this small community in northern Ghana there are children who are willing to risk the dangers of falling debris to do math homework after school. I can only imagine if these blossoming minds were given the same opportunities I was, what a difference their level of determination could make. The reason CFTC does what they do and why the Ipsos Foundation is needed, is that children are our future and when young minds in less privileged parts of the world are unable to develop to fruition we all lose out on the promise that they offer for a better future. I saw in the Ipsos Today newsletter an article about the Ipsos Foundation, which was about how Ipsos is funding 10 charities around the world. And that one of the charities Ipsos is funding happens to be in my country, Ghana! A small community up in the northern part of Ghana close to Tamale called Kpachelo is the beneficiary of this project. I quickly sent an email to Richard Silman who is in charge of the Ipsos Foundation. I was really amazed when Lucas Martin, our colleague in Toronto who participated in the project, replied saying it was near completion, but I could take part of the opening ceremony. Daniel Krupi on far right; Lucas Martin in centre with white shirt. It was a great feeling to know that Ipsos was doing such work around the world and that my country was also part of it. The help the Foundation is offering is helping the young ones in that community to have better education and become reputable people of the nation. It was a great joy when the day finally came for the opening of the school. When we arrived at the school, it looked like the whole community of Kpachelo had gathered to be part of the historic moment. We went through series of activities at the ceremony, from speeches given by some invited guests. This included one from Ipsos which Lucas did justice to alongside a talk from our charity partner Canadian Feed The Children (CFTC). The ceremony ended with Gail Black from CFTC together with Lucas, myself and other important dignitaries cutting the ribbon of the new school, and handing the school over to the community. The pupils now have a new school which will serve the whole of Kpachelo and neighbouring communities. Thank you Ipsos Foundation for putting smiles on the faces of these young ones. A week later after the ceremony we were featured in our largest local newspaper. I was really happy to be a part of this great achievement by Ipsos Foundation. It was really an honour to be part of it.